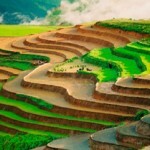 Visit the Black H’mong ethnic in Cat Cat and Y Linh Ho villages. 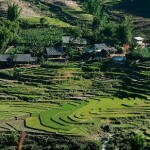 Enjoy the sceneries along the way trekking and the waterfall in Cat Cat, Lao Chai village with Tay and Dzay tribes. 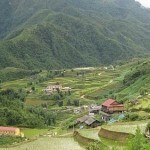 TaVan village is so nice in the valley of Sapa where is supposed to be the most beautiful place in the area. 05h30: Arrive in Laocai early in the morning. Bus to Sapa, and breakfast. 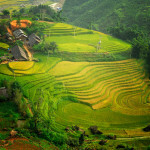 10h00: Start trekking to Muong Hoa valley to visit 3 villages of the H’mong and the Dzay (Y Linh Ho, Lao Chai, Ta Van). Lunch on the way. 14h30: Back to Sapa and spend the night at hotel. 09h00: A walk to Cat Cat village to visit the H’mong, the hydro electric power station built by French people and silver waterfall 11h00: Walk back to Sapa and free to explore the town. 17h00: Get on the bus to Laocai station for the night train to Hanoi (air-con. berth). The end of the tour.